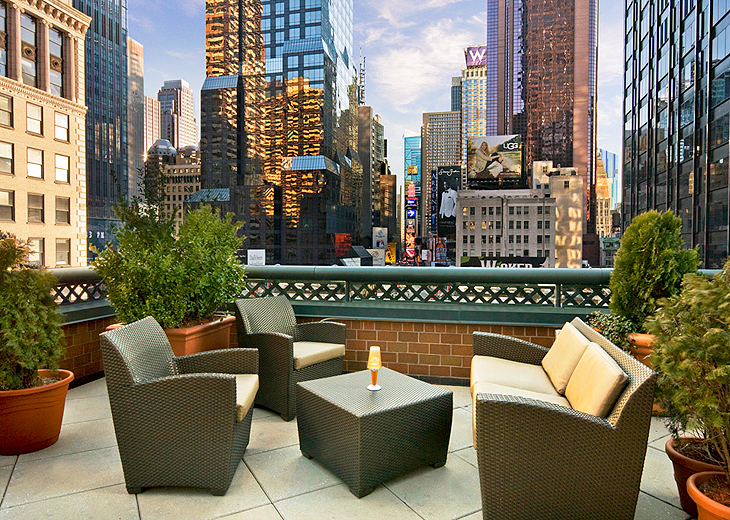 Stay in comfort at the Novotel Times Square in the heart of midtown New York - ideally placed to take in a show on Broadway, see the lights of Times Square or relax in Central Park after a shopping trip at some of the most famous department stores in the world. 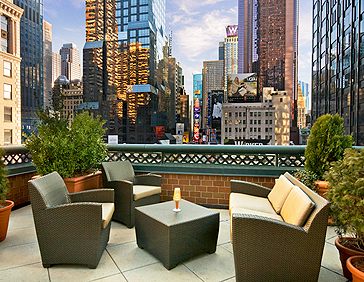 Boasting 480 spacious and contemporary rooms with WiFi access, plus spectacular views of Times Square from the 7th floor restaurant, what more could you want? 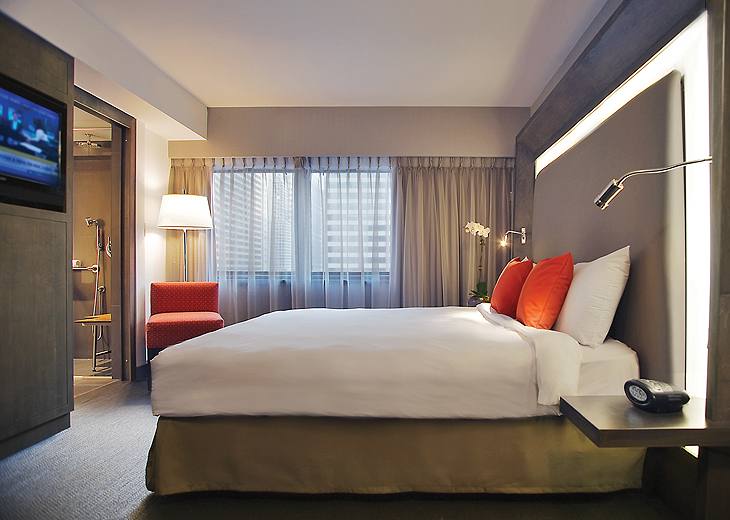 All of the Novotel Times Square's 480 rooms are spacious and contemporary in design, perfectly suiting everyone's needs. 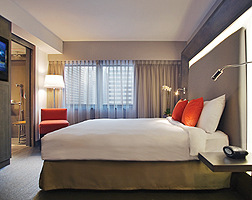 The Superior room is modern and spacious accommodating up to 2 adults and 2 children. They are decked out with 26" LCD TVs, broadband internet access, minibar and air conditioning. The comfort of your own home is brought to you while staying away. From breakfast to lunch, dinner or a tasty little snack, Novotel Times Square provides balanced choices and à la carte service around the clock. 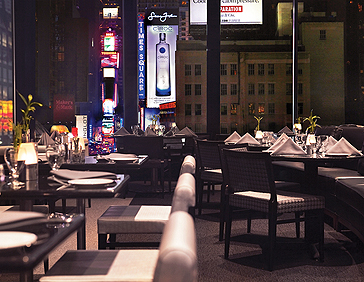 At Novotel Times Square, you can count on enjoying a relaxing meal in a friendly, stylish setting. 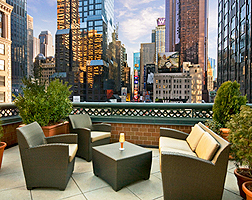 Experience the Cafe Nicole on the 7th Floor for spectacular views over Broadway or take your refreshments outside on to the beautiful terrace. 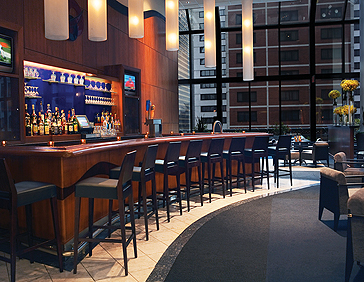 The Novotel Times Square offers a superb fitness centre whether you fancy keeping fit whilst you're away or simply want a little relaxation. 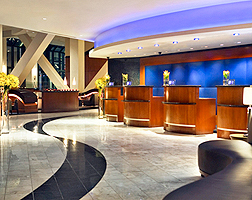 At Novotel Times Square, you're assured of a warm welcome and flawless service. 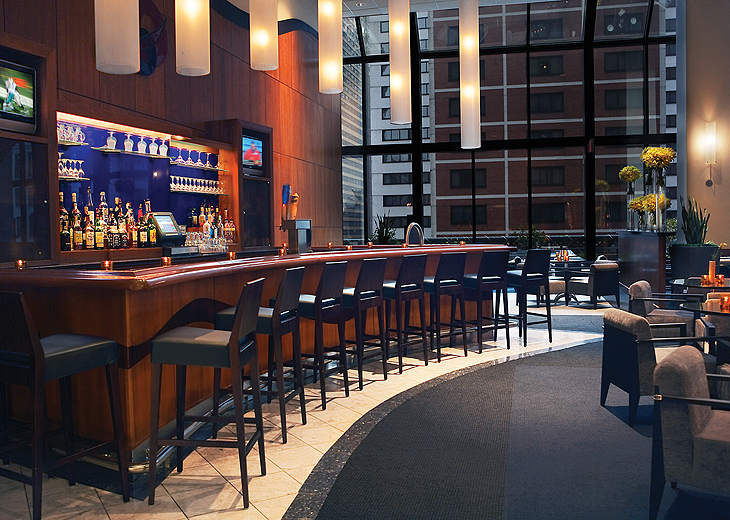 You'll find areas for relaxing and places to work, along with numerous other first-rate amenities. 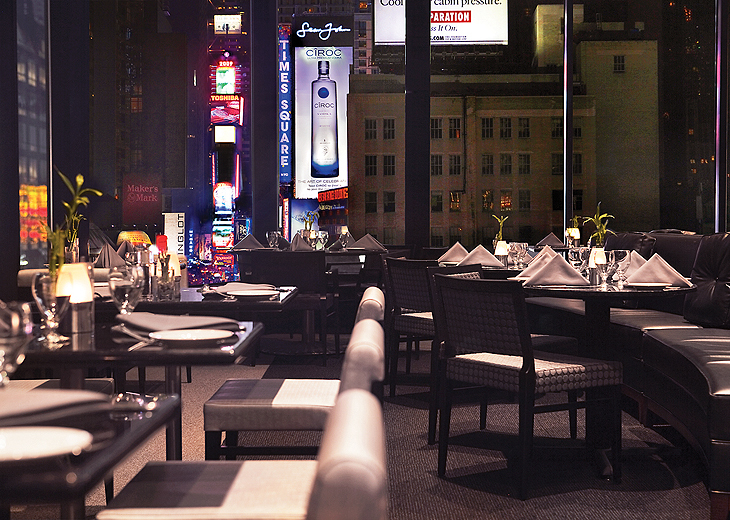 The Novotel Times Square hotel has a number of extra services and facilities, only available to in-the-know travellers!